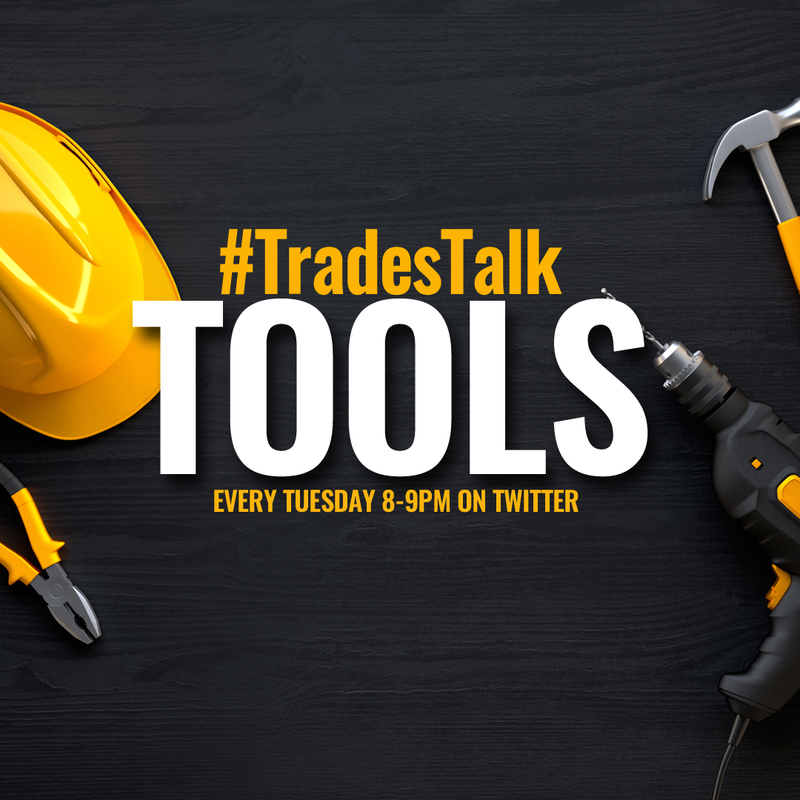 This week’s #TradesTalk chat on Twitter was all about tools. Tradespeople from around the UK (and beyond) join in the #TradesTalk Twitter chat and this week record numbers got involved to talk all things tools. Participants in the chat discussed their favourite tools and swapped tips and advice, many sharing pictures of their tool bags. Here is our round-up of the best bits from the chat, starting with a question about recent purchases. Then the chat moved on to how the trades keep their tools in tip-top condition. The third question looked at researching new tools, and PB Plumber was mentioned more than once as a source of inspiration, as were trade shows like Toolfair and Pro Builder Live. Unfortunately tool theft is a huge problem and responses to the next question reflected this. Lending tools to friends and family was another hot topic – with most saying they avoid it at all costs! The chat then moved on to the trades’ favourite tool brands, with a huge variety and lots of interesting discussion. Opinion didn’t vary as much for the next question, about buying second-hand tools. The discussion also looked at new tool discoveries that other tradespeople might find useful. And the final question was on the subject of the tool-obsessed! If you’d like to talk to other trades about tools and much more besides, #TradesTalk takes place every Tuesday at 8pm on Twitter.